• Finished goods that you sell to customers. • Services that you sell to customers. • Spare parts for maintenance. • Raw materials for manufacturing processes. • Inventory you purchase from a supplier on consignment. Oracle Inventory uses the receipt to issue process to maintain its inventory. When goods come to the warehouse, receipt process captures the onhand in Inventory. After receiving the goods, it can be transferred within the organization or to other organizations too. Finally, we can issue the goods from the Inventory for any business. Different applications can generate requests to transfer inventory. You can use Oracle Shipping Execution to generate a transfer to move material from a storage area to a staging to for shipping. You can use Oracle Order Management to generate a transfer to move material from a storage area to a staging area for shipping. You can use Oracle Work in Process to generate a transfer to acquire components for a project. • Oracle Work in Process provides work in process (WIP) activity and available to promise (ATP) supply information to Oracle Inventory and receives item and on-hand quantity information from Oracle Inventory. • Oracle Advanced Supply Chain Planning and Oracle Global Order Promising provide ATP supply information and receive on-hand quantity and forecast information from Oracle Inventory. • Oracle Bill of Materials receives item information from Oracle Inventory. • Oracle Engineering provides engineering item information and receives item information from Oracle Inventory. 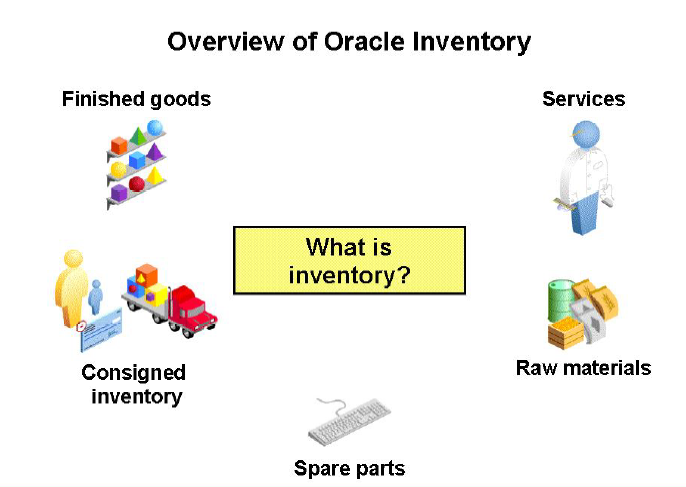 • Oracle Order Management provides shipping, reservations, and demand information and receives item, ATP, and on-hand quantity information from Oracle Inventory. • Oracle Purchasing provides receipt, delivery, ATP supply, and planning supply information and receives item requisition, and inter-organization shipment information from Oracle Inventory. • Oracle General Ledger provides ledger and currency exchange rates and receiving accounting summary and detail information via Oracle Cost Management. - Set up inventory organization options in the Organization Parameters – Inventory Parameters window. - Set up the inventory organizations to be used with Oracle Landed Cost Management and specify the landed cost management variance account for that organization. • Oracle Payables receives Item information from Oracle Inventory. • Oracle Receivables provides intercompany invoice information and receives item information from Oracle Inventory. Thanks for sharing the useful information. This is very excellent information.